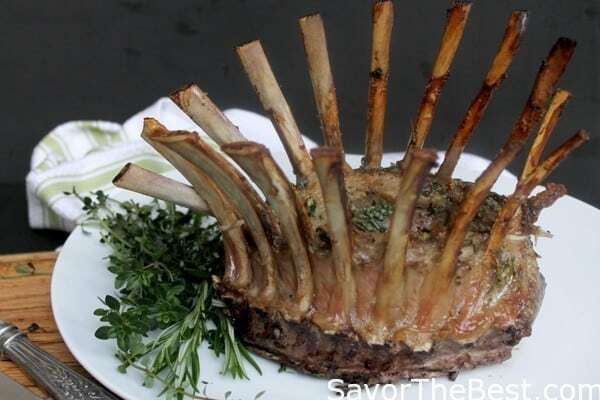 A classic Crown Roast Rack of Lamb that is juicy and flavorful with fresh herbs and garlic. This is something I have wanted to do for such a long, long time! It has been on my Bucket List years before there even was a Bucket List. 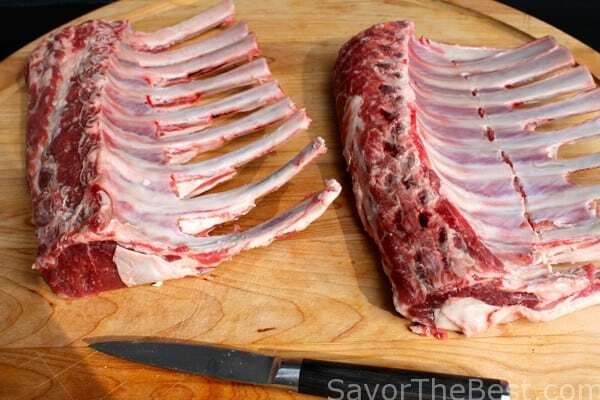 Part of the reason for my hesitation to prepare a lamb-rib crown roast is that I had never really investigated exactly how to go about it. I will admit it, I was intimidated. 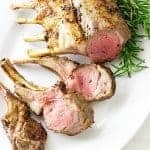 Lamb is not inexpensive but no matter what cut I have ever prepared, chops, rack, shank or whatever, it has always been very flavorful and delicious. I have mentioned before that lamb is one of Don’s favorite choices in the red-meat group and the shank is one cut that I prepare often. 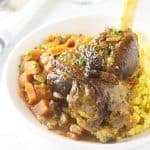 He has been hinting lately about a lamb cassoulet that he absolutely raves about so, since he is such a super-nice guy I better start thinking about that. 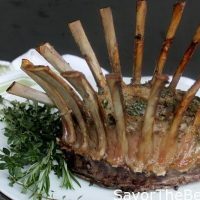 A couple months ago I watched Alton Brown’s show on Food Network and he prepared this lamb-rib crown roast and made it look and sound so easy that I decided I would do one for Easter Sunday dinner. I recorded Alton’s show on my DVD player and have had to review it a couple times before I felt confident. I really liked his innovative idea of using the bunt pan as a mould to keep the roast in the crown shape and I was going to use his idea but decided to use my grill-gadget for beer-can chicken. This recipe has been adapted only slightly from Alton Brown’s awesome recipe. 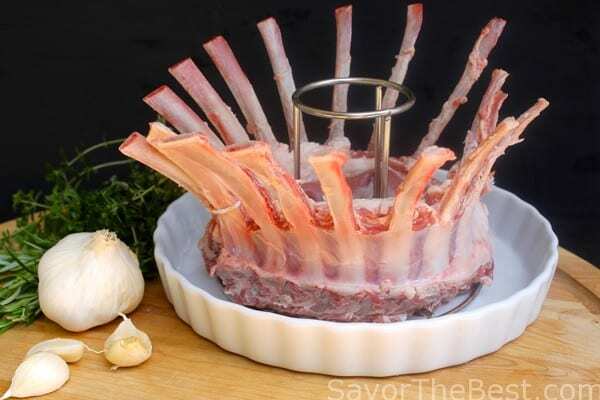 So, today I will put on my fancy-pants and do this Crown Rack of Lamb roast for our special Easter Sunday dinner. 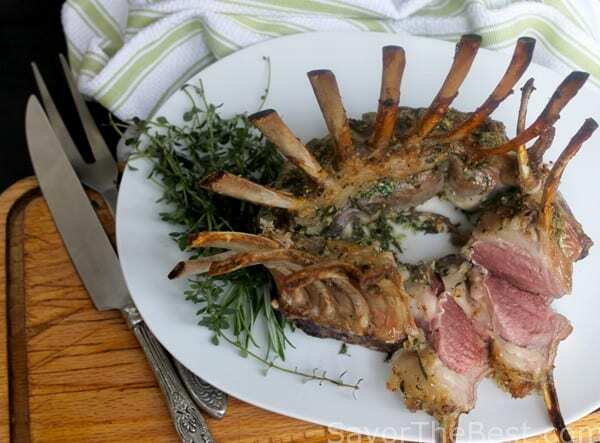 A classic crown rack of lamb that is juicy and flavorful with fresh herbs and garlic. Brush the lamb with the olive oil. Combine the salt, pepper, garlic, thyme and rosemary together and rub over the surface of the roast. Place the roast in a Bundt pan with the center of the pan coming up through the middle of the roast. 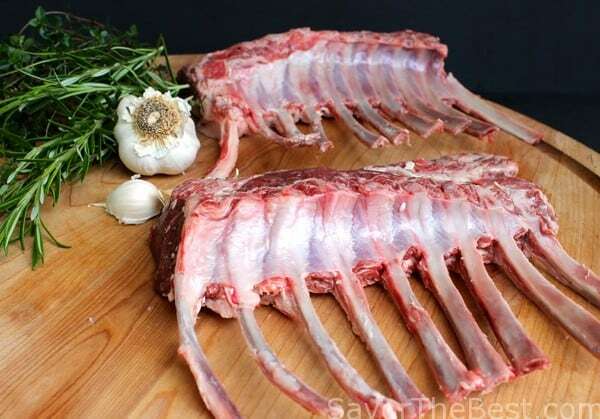 Place on the middle rack of the oven and cook for 20 to 25 minutes, until the meat reaches an internal temperature of 130 degrees F. Remove from the oven, transfer the roast to a rack, cover with aluminum foil and let the meat rest for 20 minutes. To serve, cut the string away from the roast and slice down between every 2 ribs and place on a serving plate. I’ve never done this either! And so want to — gotta try it sometime. Yours turned out wonderfully well. BTW, there’s an Alton Brown (or Good Eats — forget which) Fan Club somewhere on the webs where they have transcripts of every one of his shows. Or at least there used to be such a site — haven’t looked at it in ages — but it’s a great resource.